Shop Local Raleigh presents Brewgaloo 2012, the first super cool festival of its kind, will be held in downtown Raleigh’s City Plaza on April 28, from 3-9pm. This event supports Shop Local Raleigh and its mission to sustain programs that strengthen our local businesses. 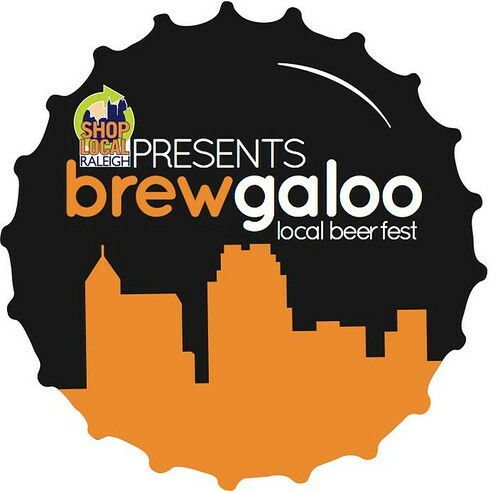 Brewgaloo will feature craft breweries from the Triangle and partners with local food trucks. Entertainment will be provided for guests by live local bands. General admission is free and includes a pint glass (special unbreakable acrylic souvenir glasses will be available while supplies last). Guests can purchase $1 drink tickets to use for 3oz samplers (1 ticket), or full pints (5 tickets). Drink ticket pre-sales start on February 20 at: http://shoplocalraleigh.org/care/Brewgaloo and continue through March 20. You can purchase 25 tickets for $20 and receive a FREE acrylic souvenir pint glass.